Looking for high quality graphic design & a professional service? Then at Splash... Graphics we have what you need! Whether you are you are starting a new business or promoting an existing one, we can add a fresh approach and put a modern Splash into your branding! We can help you with the following and more! Graphic Design, Printing, Corporate Identity, Branding, Print Media, Advertising, Promotional Products. Contact us on 087 6234065 or splash_design@yahoo.com for any queries regarding your business design needs for current or upcoming projects. Have a look through our portfolio at some of our recent work. 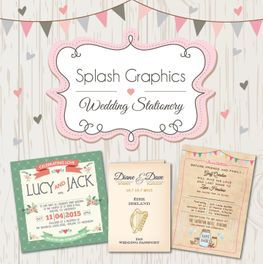 Splash Graphics specialise in the print and design of bespoke made to order Wedding Invitations, Mass Books, Seating Plans, Save the Date Cards, Table Names, Thank You Cards, RSVPs, Thumb Print Pictures & much, much more. Splash Graphics will work with you to personalise every area of your wedding, helping you to match your stationery to your colour scheme or bridal theme with prices to suit every budget. Splash Graphics produces beautiful and original baby announcement cards. No matter what you’re announcing, a birth, just sending a thank you? We have the card for you. Simply select your favourite design from our range email us your favourite photo and add your own personalised message or we can design a completely bespoke card to suit your needs and tastes. 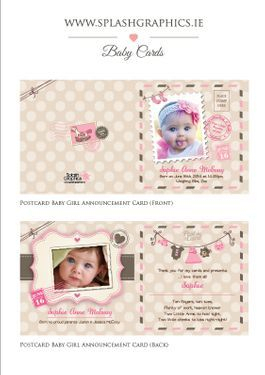 Whether it’s from the smallest joys to the biggest events, we’re here to help you share them with the most unique, affordable and simply remarkable baby announcements and birthday invitations at great value prices, we have something for everyone!. Our range includes Announcement cards, Christening and Baptism invitations, and thank you cards personalised just for you. Great print can make all the difference to a campaign and still remains to be one of the best communications tools available. Whether it is a flyer with a promotion, a full brochure that tells your brand story, a poster that delivers a message or billboard, at Snap you can expect rich vibrant colours and a print quality that reflects the calibre of your brand every time. We can provide your business with high quality Digital printing with a very fast turnaround. 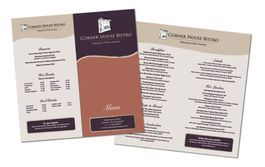 We specialise in printing Business Cards, Posters, Flyers, Menus, Letterheads, Postcards, Vouchers, Brochures, Invites and Memorial Cards and lots more!